And if so, how do we communicate with them? Tarot Cards can work as receptacles through which spiritual and angelic forces may enter into the physical world. 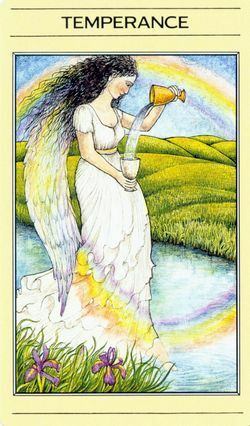 In this class, we will explore the FOUR major angels found in most Tarot decks: the Temperance Angel, the Lovers Angel, the Judgment Angel and the Devil Angel. We will explore the unique gifts and lessons that each Angel represents. We will learn ways to use these images to raise our energies to those found in the angelic dimensions. We will also use these four angels to reveal our own unconscious blocks in the area of love (both self-love and love to and from others) as well as how ways to heal our Shadow. Join author Rev. Geraldine Amaral to explore the ways that the Tarot Angels can help us in our spiritual journey. The class will include an overview of Tarot and how we can use the images to unlock information trapped in the unconscious. This is strictly hands-on and practical application of the guidance and wisdom of the Angels found in the Tarot, with focus on their deeper esoteric meaning. Rev. 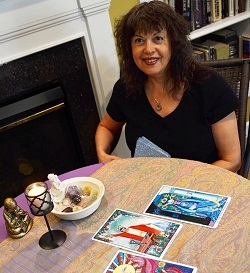 Geraldine Amaral is the author of Tarot Celebrations: Honoring the Inner Voice, creator of “Tarot 1-2-3” instructional video and a regular columnist for Pathways Magazine. She utilizes Jungian/Archetypal Psychology and Divine Metaphysics in her work. Her classes provide a unique blend of spirituality, psychology, philosophy, humor, literature and personal empowerment methods. She was ordained by United Metaphysical Churches. Please register online at http://www.uofva.org/civicrm/event/register?reset=1&id=10 to ensure you have a spot.